தகனமேடை: இந்தியாவில் ஆண்களுக்கு சட்டப்பாதுகாப்பு இருக்கிறதா? Seeking to counter certain "exaggerated" claims made by some women's organisations and in a bid to draw the attention of the government to the plight of men victimised by lop-sided laws drafted on the basis of such claims, men's organisations in the city have now embarked upon the task of conducting a massive domestic violence survey. The results of the nationwide survey, widely believed to be the first of its kind for men in the country, will be used to find out if whether Indian men too are victims of domestic violence, the percentage of Indian men subjected to such violence and the kind of violence they are subjected to. The need for the survey has been triggered, it seems, by the controversial Domestic Violence Act - 2005, which seems to have been drafted on the assumption that only women suffer domestic violence. 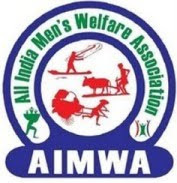 Says Suresh Ram, member of the All India Men's Welfare Association (AIMWA), an NGO working for the rights of men and boys, "Certain women's organisations have been stereotyping the issue of domestic violence. They have presented a picture that conveys the impression that only women are victims of domestic violence while we have with us global surveys and over 250 scholarly studies that show that women are at least as likely as men to engage in partner aggression and that partner violence is often mutual. This fact is established if one goes through the Domestic Violence Study conducted by a well known global organisation that has done the survey in over 32 countries including India. However, the Domestic Violence Act in India offers protection to only women and not men." He further adds, "So, to set things right, we men's organisations have joined hands to ensure that a credible and transparent survey on the issue is done. Eight men's organisations are involved in this effort which is being led by the AIMWA. We have begun negotiations with survey agencies to conduct the survey in certain cities of the country including Chennai, Delhi, Kolkata, Bangalore and Hyderabad. We intend to publish the results on Nov 19, the International Men's Day." So, what do they intend to achieve by conducting such a survey? Says Suresh, "We intend to create an awareness in society about the problems faced by men. We wish to present to them the real situation in society. We will also seek to draw the government's attention to issues concerning men and reiterate our demand for setting up a National Commission for Men and a Men's Welfare Ministry." Men in the city are delighted with the move by the men's organisations. Welcoming such a survey, Shankar, a graphics designer, says, "I certainly welcome the move. It is high time that facts were presented on this issue." Women too seem to be for such a survey. Says Dakshayini Sampath, a media professional, "While I think that more number of women suffer domestic violence, it's also possible that men are victims. I think the law should hold good for both genders and if this survey is going to help bring about a uniform law, then I'm all for it."